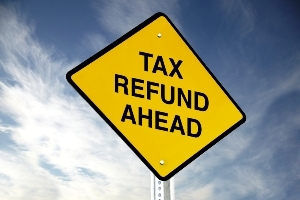 How To Spend Your Tax Refund | Buy New Furnace? 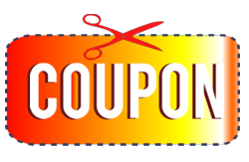 A major appliance like a furnace system tends to be a big ticket item. Furnace replacement can cost several thousand dollars or more depending on the square footage of your home. So, using an income tax refund check to purchase a new furnace is indeed smart. 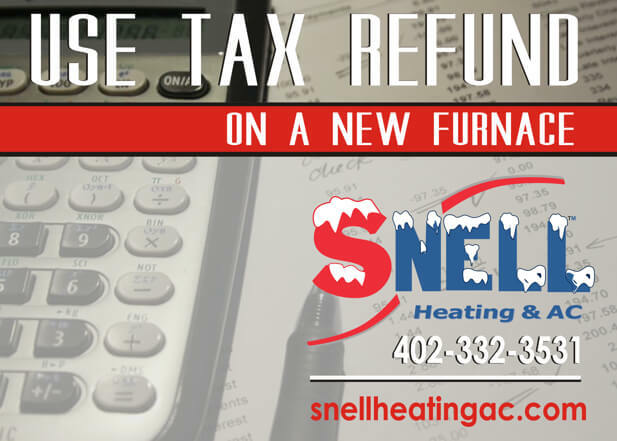 We at Snell Heating and AC, based in Gretna, Nebraska, yet serve the Omaha, Bellevue metro area – are here to help you find the best furnace for the right price. Financing options are available with approved credit. Should you decide to use your income tax check toward a new furnace, AC, heat pump or air purifier system, give us a call. We’ll provide a Free estimate. Plus, we offer regular maintenance, 24/7 emergency repairs and an annual customer care savings plan option, as well. 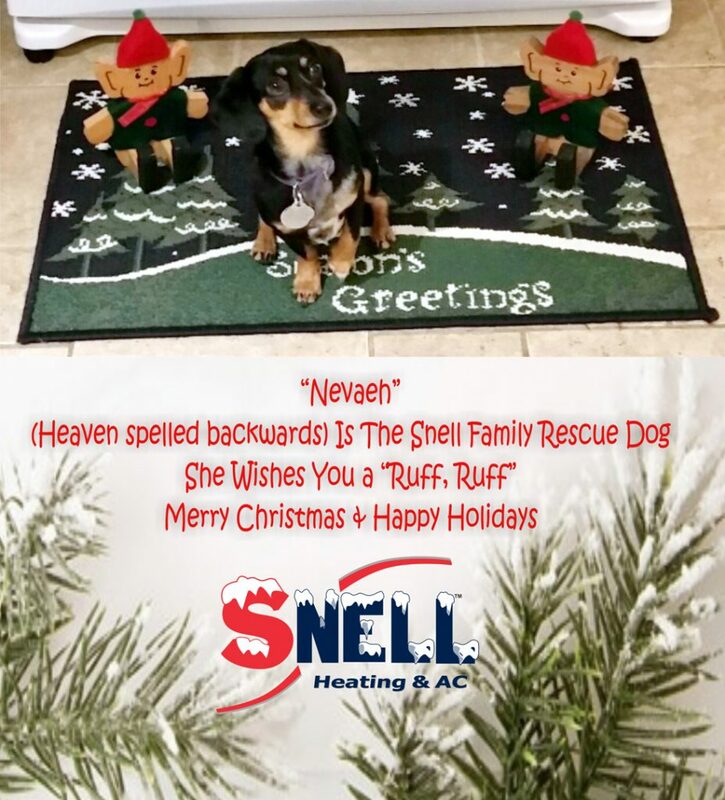 Snell Heating and AC, your Omaha metro furnace and air conditioning contractor offers tips on maintaining home comfort during Nebraska’s cold winter snap, during the holidays and beyond. Keep all registers open, do not close them, because you can run the chance of over heating the furnace. The heat has to get OUT of the furnace. Humidifiers, get them serviced! The water panels can lime up and mold can grow. “Bad, very bad things can happen to a humidifier that is not serviced at least once per year. Also, DO NOT open the water valve wide open, this can cause the humidifier to over flow and possibly cause water damage to your furnace or belongings. Remember, any water exiting the drain hose is a waste, minimize this by turning the water flow down,” emphasizes Jerry Snell, owner of Snell Heating and AC, an HVAC company based in Gretna, Nebraska. 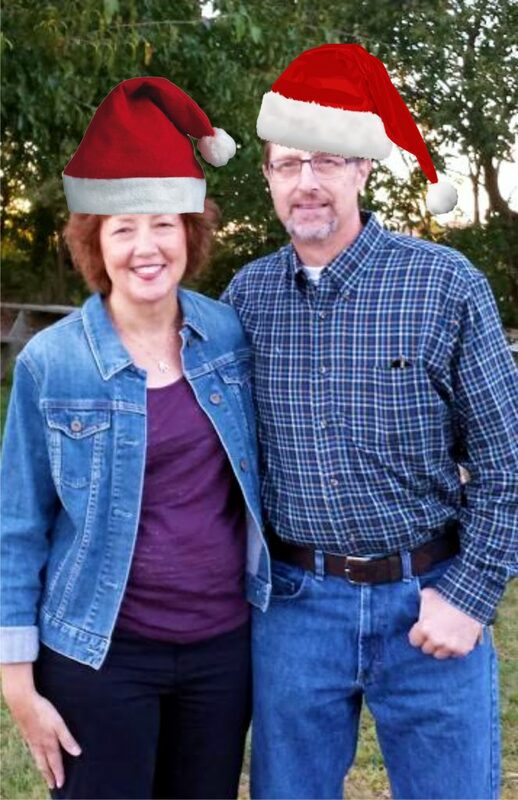 Rita and Jerry Snell, Owner/Operators Wish You Safe & Happy Holidays! Air filters, the more expensive is not always better. We recommend replacing the filter MONTHLY. Also, if you replace the air filter, you can save yourself some money by purchasing a less dense AKA cheap filter. Another tip. Spray the inlet side of the filter with a filter coating spray, OR use your in-home dusting/cleaning spray. Please don’t soak the air filter with the spray because a soaked filter will collect dust, dirt and other particles. “Oh, did I mention service? Make sure your home is safe and comfortable this season, by having your furnace system serviced,” notes Snell. 24-hour emergency Omaha furnace repairs, over the holidays, too. It’s that time of year. Fall is here! And soon, if not already, you’ll be firing up the furnace to heat your home. Of course, you’ve heard it before, and we’ll remind you again, before you start the heat, our Gretna, Nebraska-based heating and cooling company highly suggests that you schedule a furnace check-up appointment to diagnose any problems, and clean the system. In Omaha, Bellevue and Gretna metro areas, please call us at 402-332-3531. So, what do you do if your furnace does not kick on? Snell Heating and AC offers some troubleshooting tips – as you await your next HVAC appointment. First off, double check that the thermostat is turned to heat, and that the temperature is set to – above room temp. You may consider replacing the batteries. Step #2. Check the breaker box to see if the furnace breaker is turned off. If the answer is yes, switch it to on. “From our experience, it’s not out of the ordinary for a child to play with the breaker box, and flick the furnace switch to off,” notes Jerry Snell, owner of Snell Heating and AC, whose been in the business since 1998. Check the furnace filter, if has not been changed recently, like within a month, replace it. Furnace still not kicking on? Listen to hear if anything is blowing, like a motor? Check the registers. If the furnace does not turn on, what comes out of the registers would be air room flow. This troubleshooting step would have eliminated a breaker issue. Go to the furnace. Do you see a pilot light or a glow coil? Do you smell gas? If you don’t see the glow or pilot light, and you do smell gas call your HVAC company right away. “We run into cob webs obstructing key elements of the furnace, triggering no heat. I had one two nights ago. Spider webs filled the PVC pipe intake of a high efficiency furnace. I removed them, and all was OK. There are many causes of a furnace not turning on. It can be a number of things. There could be a loose wire, a defective glow coil, a defective vacuum hose or a pressure switch. The heat exchanger may need replacing. The heat exchanger – is the heart of the furnace, and it’s the most expensive system part to replace. “We received quite a few calls from customers (Fall 2016) mentioning they don’t have heat. We found quite a few cracked heat exchangers. At that point, a decision needs to be made, to either replace the heat exchanger or the entire furnace. Replace Big Part or Buy New Furnace? You’ll want to consider the age of the system. If the system is out of warranty or over 15 years old, you want to strongly consider buying a new, more efficient furnace. If you decide to replace the heat exchanger, be aware that this is basically like a sometimes pricey band-aide. After all, in a couple of years, if your system is old, you’ll want to replace it all together,” added Snell who also mentioned that financing is available with approved credit – should you opt for a furnace replacement. No Heat? We hope these troubleshooting tips help you discover why maybe your furnace is not turning on. All in all, consider making it a habit to schedule a yearly furnace checkup to make sure the system performs well and safely producing warm, comforting heat for you and your family. Ask for an appointment now online. Is your energy bill high? There is one way to lower your utility bill – seal leaks. Here at Snell Heating and AC in Gretna, which serves the Omaha metro, we offer a strategy on how to do air leakage testing, and a plan of action. Snell Heating and Air recommends you schedule an appointment to come out for a home comfort system check up – of your AC and furnace. “We also will have a conversation. We talk about how your home is working for you – comfort-wise, such as is it hot in one room, and other may be cold? Is one area of the house, more uncomfortable than another,” said Jerry Snell, owner of Snell. Snell then thoroughly checks your system. If you’re having air flow problems, the Omaha heating and cooling contractor tries to figure out what can be done to get more air into the zones. It can be something as simple as a blower speed adjustment. It could be more in-depth, like having to seal the duct work due to leakage, noted Jerry. “We like to think of the air distribution line as a garden hose. If you have a garden house with holes spraying everywhere, with not much water coming out the end, then we seal the holes,” Snell added. Besides scheduling an in-house service call, here’s what you can do. First, answer these questions. On a breezy day do you feel a draft? Do the curtains move? During the heating season, do you get ice on the inside of your windows? If it’s snowing, and the snow/ice blows inside the door or window, you may have a problem! If you detect leakage, you can caulk and seal windows, doors and siding with products you can purchase at your local hardware store. Plus, Snell can point you toward local companies that can remedy the issues, too. Again, you can try to address yourself many of the air leakage problems. Here are some tips from OPPD, the Omaha Public Power District. 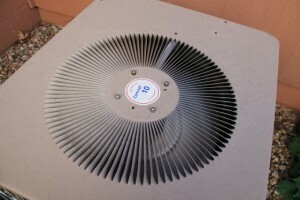 Schedule spring check-up of your cooling equipment with a licensed contractor. Dirt and neglect are the main causes of system failures. When in doubt, call Snell, your Omaha area heating and air conditioning company for more information on how to save on your energy bills, and make certain your home comfort system is running right. Our staff here at our Gretna, Nebraska-based heating and cooling company, serving Papillion, Springfield, Bellevue, La Vista and Omaha, is crossing our fingers again this year. 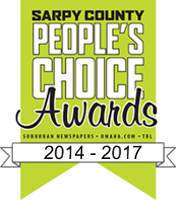 The 2016 Sarpy County People’s Choice voting is underway until September, 9th. We are truly thankful and humbled by the recognition in 2014 and 2015. Offering exceptional customer service remains a top priority to us here at Snell Heating and AC. 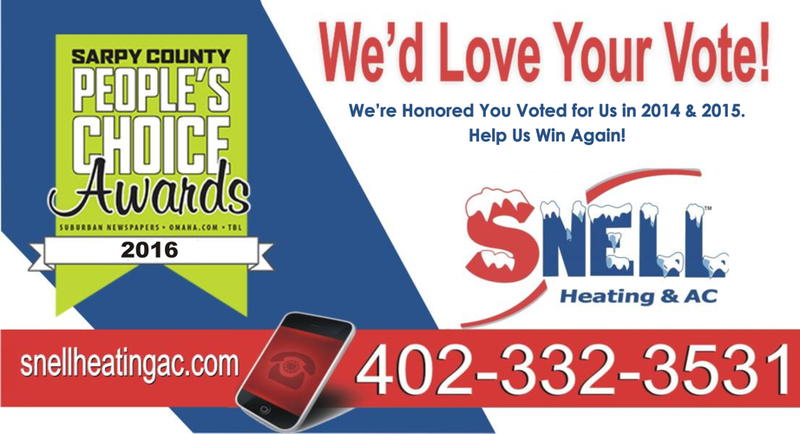 Last year and the year prior, voters picked Snell as one of the best heating and cooling companies in Sarpy County, which includes the cities of Bellevue, Papillion, Bellevue, La Vista, Gretna, La Vista and Springfield, Nebraska. Since 1998, the year husband and wife, Jerry and Rita Snell, founded Snell Heating and AC, our heating and cooling company has striven to offer the highest quality service and customer care. 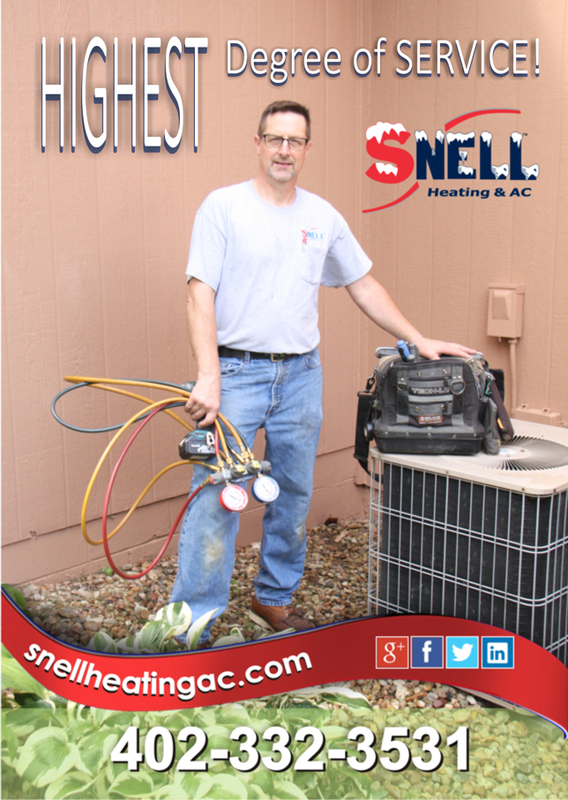 We stand by our work, and our slogan – Snell Heating and AC. Service to the Highest Degree! Therefore, we thank you for choosing our HVAC company as one of the best in the metro. 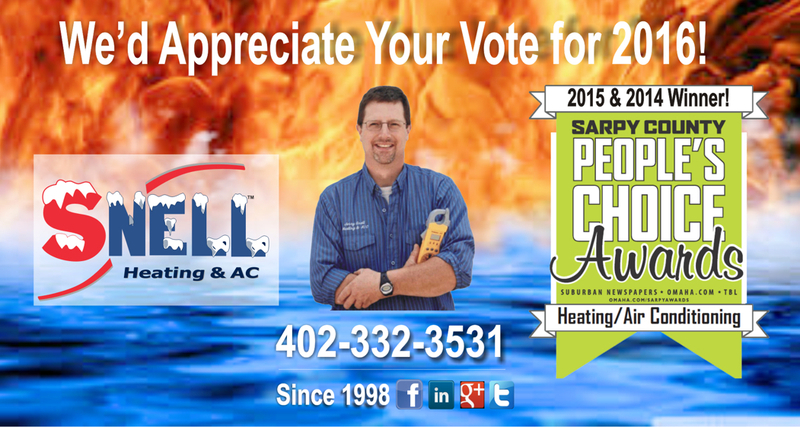 We are also appreciative that the Sarpy County People’s Choice Awards were created several years ago to recognize heating and cooling companies and other businesses that serve the Omaha metro, but are located outside of Douglas County. Companies outside of Omaha do not qualify to participate in The Best of Omaha Awards. So here’s to another great year at Snell Heating and Air Conditioning! As always, we appreciate your vote in 2016. Here’s where to go to cast a ballot, if you like. Thanks again in advance. In the meantime, give us a call for a furnace or ac check up! 24/7 Emergency Service | Schedule Online Appointment | Send us a Note! I’ve used this heating and cooling company since 2000. I couldn’t be more pleased. In the middle of a snow storm, Jerry Snell trekked out to my home and fixed a broken down furnace. He and his crew always go the extra mile! I like they are not a franchise, too. They thoroughly clean my furnace and AC, run all the important diagnostics and are always friendly! (Omaha, NEBRASKA) — With temperatures baking the metro for weeks, the heat wave hitting the area takes a toll on home and office air conditioners. Omaha AC repair companies report working overtime to keep up with the high demand for service repairs. 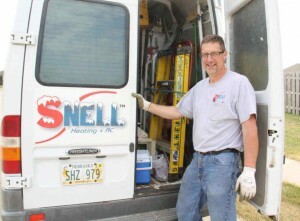 “We are getting swamped with calls and have been from June through now,” notes Jerry Snell, owner of Snell Heating and AC in Gretna, an ac repair company serving the Omaha area. There are many reasons why your AC unit stops working properly from a refrigerant leak to malfunctioning electrical components – system failures that would be spotted during seasonal checkups. Regular Maintenance is key. Just like your car, your home or office air conditioning system needs service checkups that not only diagnose problems, but clean components including your outdoor AC unit. Hose Down AC Unit. Cottonwood, grass clippings and other outdoor debris often accumulate. Clearing debris keeps system working more efficiently. Change HVAC Filters Monthly. Air filters need to be swapped out every 30 days. Dirty filters make system work harder. Keep Blinds & Curtains Closed. Do whatever you can to keep heat out. Need an Omaha ac repair company? Call Snell Heating and AC. Serving Omaha, Elkhorn, Valley, Bellevue, La Vista, Papillion, Ashland and Gretna. 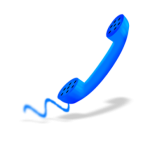 Since 1998, – Offering Service to the Highest Degree! 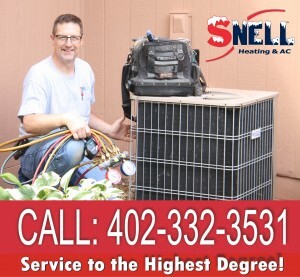 By Susan Stern — If your home received hail damage by the May 11, 2016 overnight storm that struck the Omaha metro area, Snell Heating and AC recommends you have your service technician take a good look at your AC unit for damage. This particular storm pounded northwest Omaha, a huge swath primarily extending on the north and south-side of 132nd – 180th and West Maple Road. 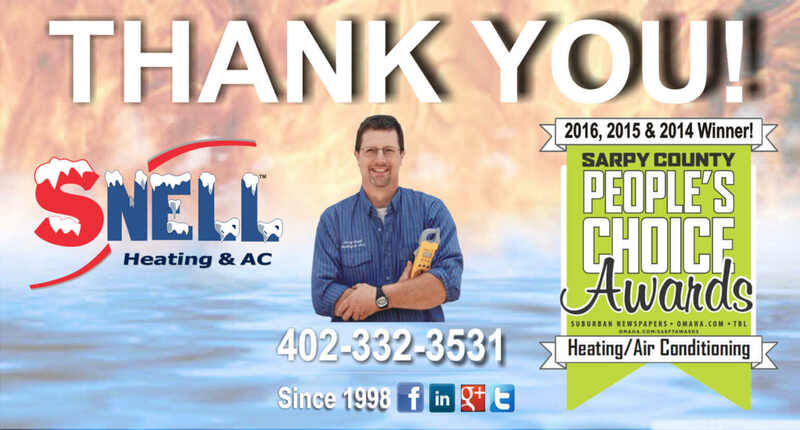 “We’ve been getting quote a few service calls for AC unit damage,” notes Jerry Snell, owner of Snell Heating and AC, serving the Omaha metro. 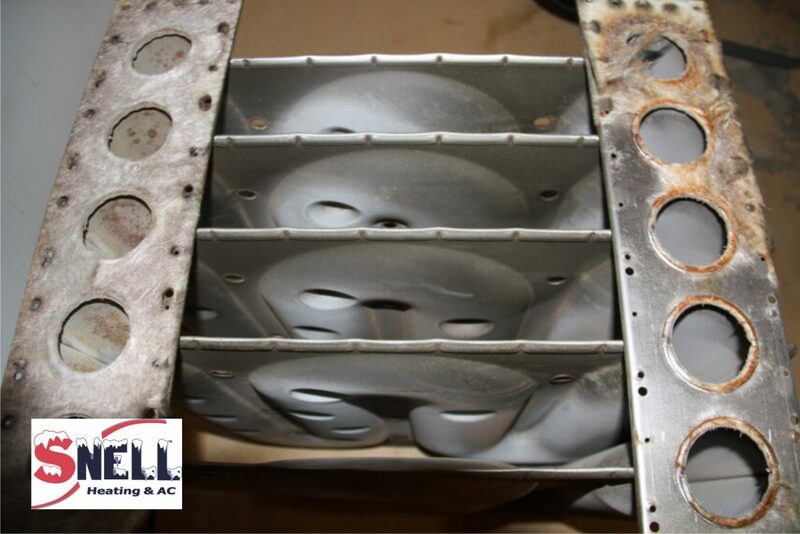 Snell points out that coil fins struck by hail can bend and damage the unit thereby reducing the airflow, efficiency and may result in higher electric bills. While a lot of people request the damage to be combed out, this process is not always effective. “When I come out for a service call I take a look for dents in the coils. A lot of them are so damaged, that if we tried to straighten them they rip and tear out. Depending on the severity of the damage, if I see one that is approaching 40-50% coil space damage, then we try to address it. Sometimes the damage is beyond repair, no matter how hard we try, we cannot get the coils back to factory-fit condition,” added Snell. If damage is severe, homeowners may want to consider replacing their outdoor AC unit. If you already filed a claim for roof and siding damage, you might consider supplying your insurance adjuster with a supplement estimate for AC unit replacement. “Just have your units inspected by a qualified heating and air company. Of course, try to stay away from fly-by-nighters and a friend-of-a-friend,” said Snell. 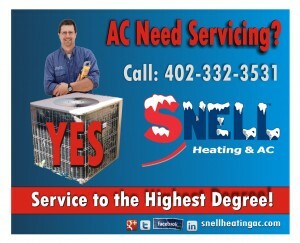 For air conditioning service calls to inspect Omaha hail damage to AC units, call Snell Heating and AC today. Serving Omaha, Elkhorn, Bellevue, Papillion, Gretna and Ashland Nebraska. Service to the Highest Degree! 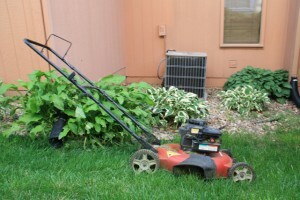 (Omaha, NEBRASKA) — By Susan Stern — Snell Heating AC Omaha reports that grass clippings and cottonwood appear to be clogging up outdoor AC units in the metro. The observation has been made during service calls. As we get ready for typical summer Nebraska heat, now is a perfect time to schedule an air conditioning system check up to remove debris from your home comfort system. Snell also suggests homeowners refrain from covering the AC unit with a fine mesh, something some owners have been spotted doing recently. Mesh or any other covering can harm the unit, making it work harder (triggering higher utility bills), too. When you are mowing your grass, Snell recommends you direct your mower away from the air conditioning unit. A coil blocked with grass clippings and other debris can drastically reduce efficiency. Be careful near the unit when using a weed whacker. Debris can damage the coil and flatten aluminum fins. while wires can get cut causing a transformer to short out – an expensive repair. “The best advice we recommend is that homeowners have their air conditioning system checked each spring to make sure it is working properly,” notes Snell. 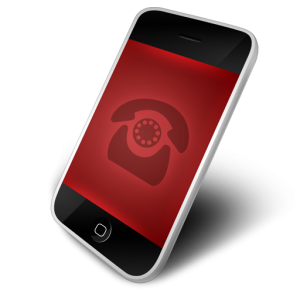 The HVAC company offers an annual customer care service plan that keeps service calls and repairs affordable. Inquire about it. 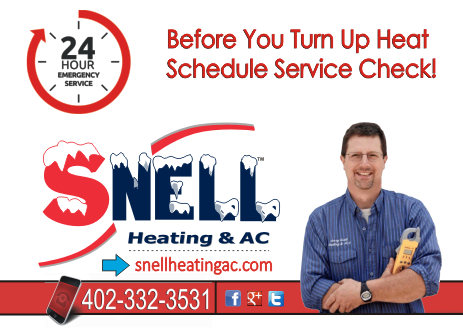 But first, for an Omaha, Bellevue area AC checkup, Call Snell Heating and AC. Service to the Highest Degree! 402-332-3531 | Schedule Appointment Online Now! The days are heating up! Before you know it, Nebraska’s hot summer will be around the corner. Spring-time is when most homeowners make sure air conditioning systems are ready to go before summer arrives, starting with an AC check up. Rather than do-it-yourself, you should call your favorite Omaha heating and cooling company for AC maintenance services. Notice Uptick in Operating Costs? As demand rises and falls, so does the cost of operating your ac. Over time, system efficiency starts to decrease due to regular wear and tear, along with equipment age. Also, there is a correlation between failing to regularly maintain the system and reduced product life. Anyhow, with any major appliance as time goes by, perhaps around the 15-20 year mark, the air conditioner tends to operate for longer periods of time to compensate for efficiency loss. Now that drives up your utility bill. So, if your electric bill keeps increasing, it’s time to discuss with your HVAC technician about the possibility of a new AC installation. 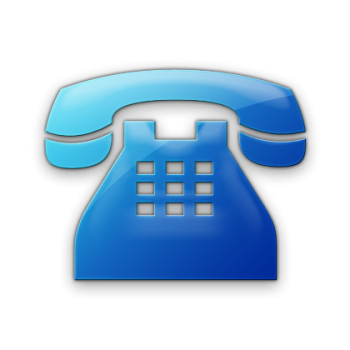 If you also start to notice a steady increase in the number of air conditioning system repair calls, talk to your technician about it. If you hired a reputable AC repair company in Omaha, for instance, he or she would have already communicated his/her replacement recommendation, if any, during the Spring check up. 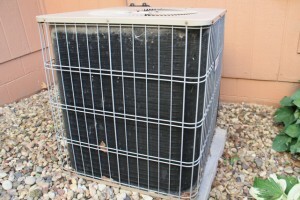 Bottom line, an air conditioner shouldn’t need repairs more than a handful of times throughout its system life. If you experience a rapid succession of repairs of old AC equipment, that’s a sign that you may need a new system. Many repairs over a short period of time often signals the end of an AC’s lifecyle. Say, repairs every few months, rather than every few years – are clues. If you think that you need to install a new air conditioner, call Snell Heating and AC of Gretna Nebraska. We offer heating and air conditioning services to the Omaha metro – Bellevue, La Vista, Papillion, all the way to Elkhorn and Ashland! Our family-owned, non-franchise company provides comprehensive air conditioning installation services throughout Omaha – Douglas and Sarpy Counties. Financing is available, subject to credit approval.